Provided electrical engineering services for upgrading the existing fire alarm system in the North Wings of Clifton T. Perkins Hospital. The work area consisted of approximately 100,000 square feet. Building spaces included patient wards, security station, cafeteria, offices and mechanical rooms. Studied the existing fire alarm system by reviewing existing as built drawings and making multiple field visits to verify existing conditions and develop detailed drawings. Removed the existing out of date Pyrotronics fire alarm control panel and the existing out of date fire alarm devices. Field verified the mounting height of the existing fire alarm devices and determined which devices did not meet current codes. Provided new addressable fire alarm devices in areas which were not in code compliance. The new fire alarm system was designed to meet the requirements of NFPA 72 and applicable codes. Provided duct mounted smoke detectors in applicable air handling units serving the North Wings. 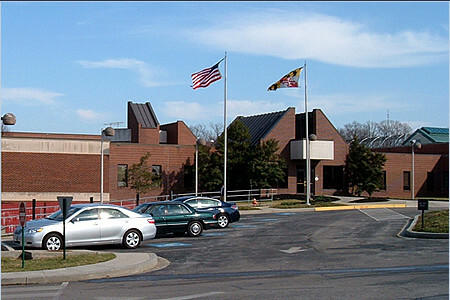 Coordinated our fire alarm system design with The Maryland State Fire Marshal’s office and the facility’s maintenance supervisor. Provided an addressable module in order to allow the facility to re-use existing wiring for the existing devices which were being replaced and which lowered the estimated construction cost. Provided a new Fire Alarm Control Panel with the capacity to serve the upgraded addressable fire alarm system in the North Wing and the existing fire alarm devices located in the remaining areas of the building. Provided a detailed cost estimate for the proposed fire alarm system upgrades.